Standing in the shadow of your father is difficult for almost anyone, but particularly if your father was one of the most famous, loved, and respected musicians in the world. 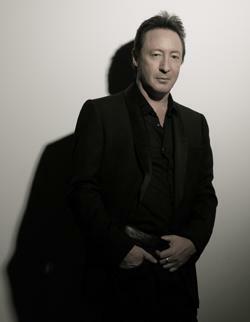 JULIAN LENNON achieved fame on his own in the early 1980s’s with the Grammy-nominated platinum album, Valotte. In the ensuing years, he has retired and unretired from the music business several times, sailed around the world, and has ventured into the world of acting and film production. In the Fall of 2009, his childhood friend, Lucy Vodden (on who he based his drawing that would inspire the Beatles’ song, “Lucy In The Sky With Diamonds”) died of lupus and he decided to write a song in her honor and donate the proceeds to research against the disease. This coincided with the launch of his latest project, theRevolution.com, an Internet-based independent record label of which his single is the first release.